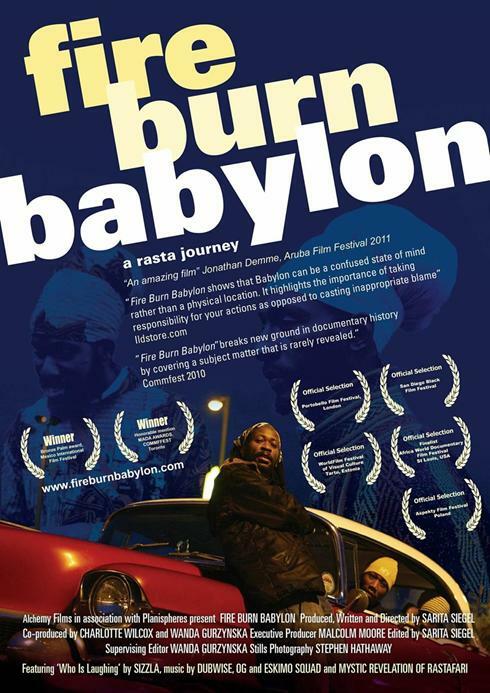 “Fire Burn Babylon” follows three Rastafarian friends who abandon their spiritual retreat in the foothills of Montserrat and resettle in London when a volcanic eruption destroys their island home. Sarita Siegel documents Lyndon, I-Shaka and Elroy as they reinvent themselves as rude-boy rappers and small-time hustlers on the East End nightclub circuit. The men's beliefs transform as they rediscover new ways of living in London, which they believed was their spiritual nemesis, "Babylon". Will they fall for the thrills of Babylon or recommit to their Rastafarian ideals? The birth of their children by non-Rastafarian women introduces new values in their lives? When your child must be brought up between these two worlds there will be difficult choices to be made. “Fire Burn Babylon” is told through the eyes of the men themselves, the women who love them and the elders who guide them.